Ras Kass dropped 'Nature of the Threat' on his debut album 'Soul On Ice' in 1996 via Priority Records. It's arguably one of the most discussed and most dissected records of the last two decades. 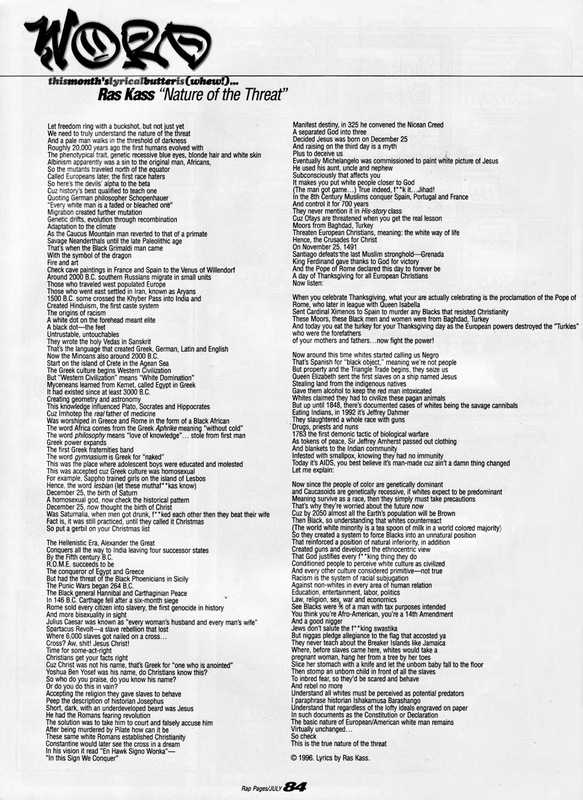 In 2011, Ras Kass did an interview offering some insight: “[Writing the song] was a task that I took that I really did for myself, so yeah it solidifies me as somebody that’s a thinker and a rapper, because it’s not a…storytelling song and it’s not the most lyrical song; it’s a factual song. The time it took me to get that done was more [of that of a] historian or philosopher than a rapper.” He further remarks (via BeeShine) “As far as how it’s affected my career, for some people, it is my opus. For other people, it may have been a song that made them [think] like, ‘Oh, he hates these particular people,’ which, really, it’s not,” he said. “It may have affected my career [in a way] that [made people respond like], ‘Oh, well we don’t want him talking about that.’ Some people have speculated – [and] I could see where some of their points are valid – that maybe it affected my career in a negative way. It is what it is. I made it for myself. I think it’s a part of me that I’m glad I got out at that time. I probably couldn’t make the same song today…[or] five years ago, just because that’s where I was [when I made it]. Like I said, everything I make is a time capsule. 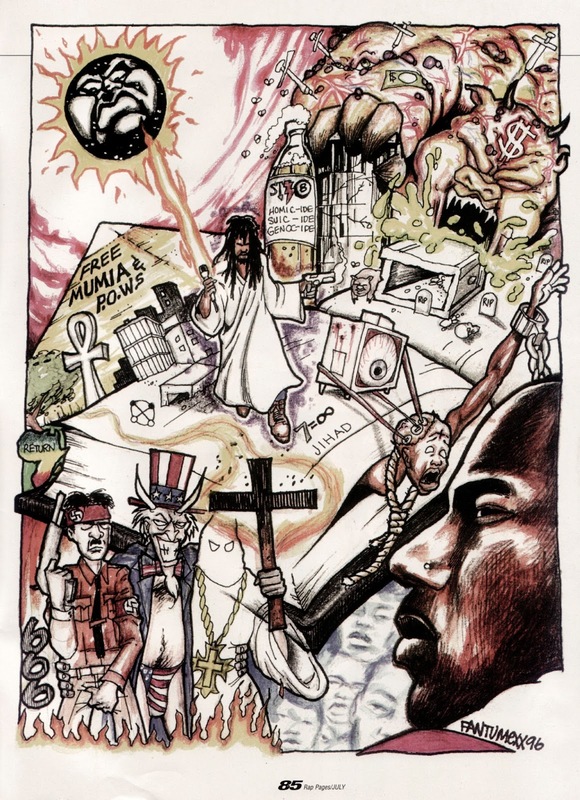 There may be fundamental facts [in the song] that I [still] agree with, but I may have a different interpretation of those facts [now].” The illustration & printed lyrics are from Rap Pages in 1996. Props to Brian at TheBeeShine for the quotes above and all his introspective interviews.